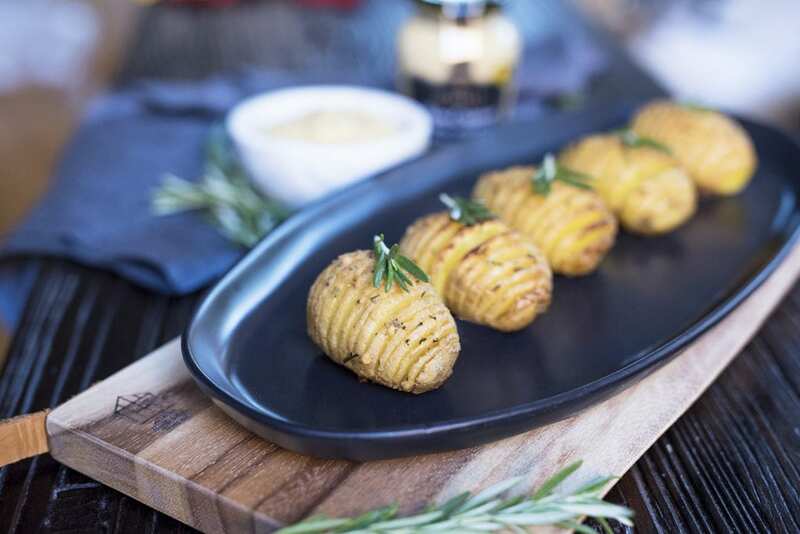 These mini hasselback potatoes are crispy and just the rite size to be served as a party appetizer. 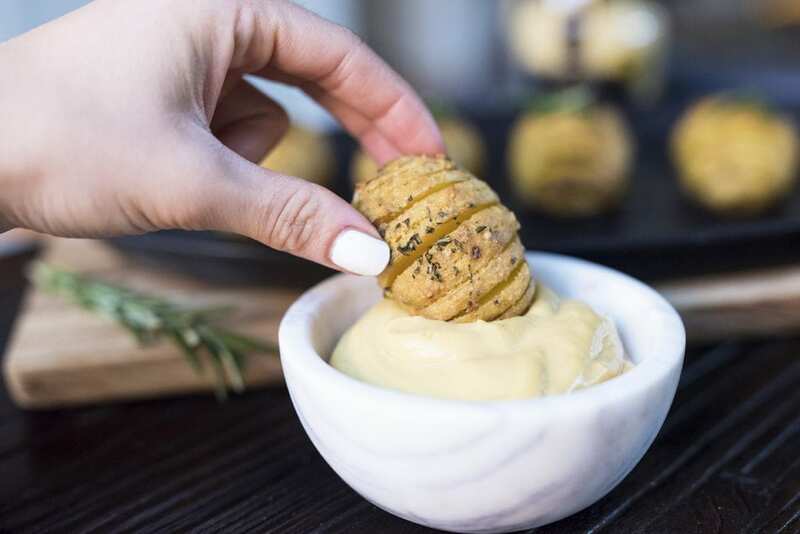 Rosemary and a Dijon mustard butter take these bites to the next level. Holiday season is officially upon us! This is my favorite time of year mainly because of all the entertaining opportunities. 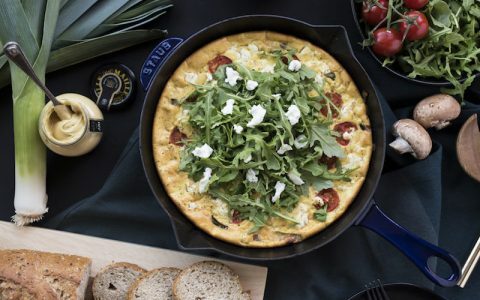 There’s nothing I love more than having friends over, decking out the house, and whipping up a few good recipes to enjoy. 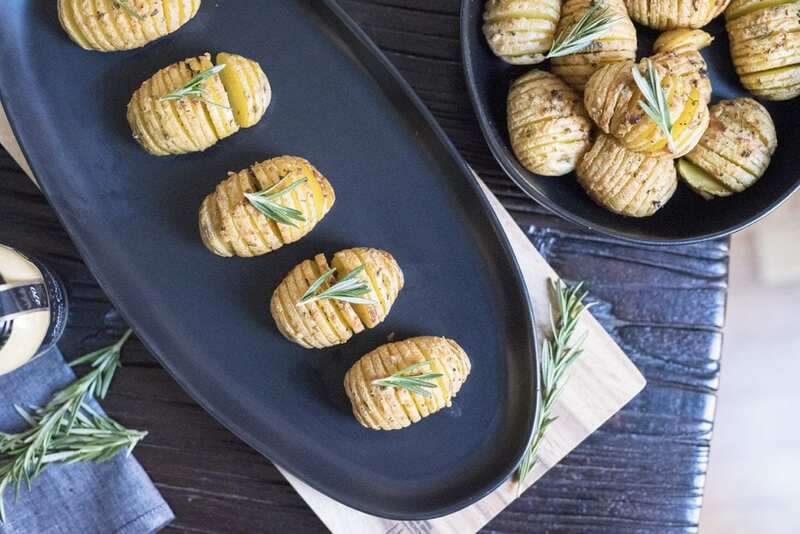 One of my favorite dishes to make would be mini hasselback potatoes. 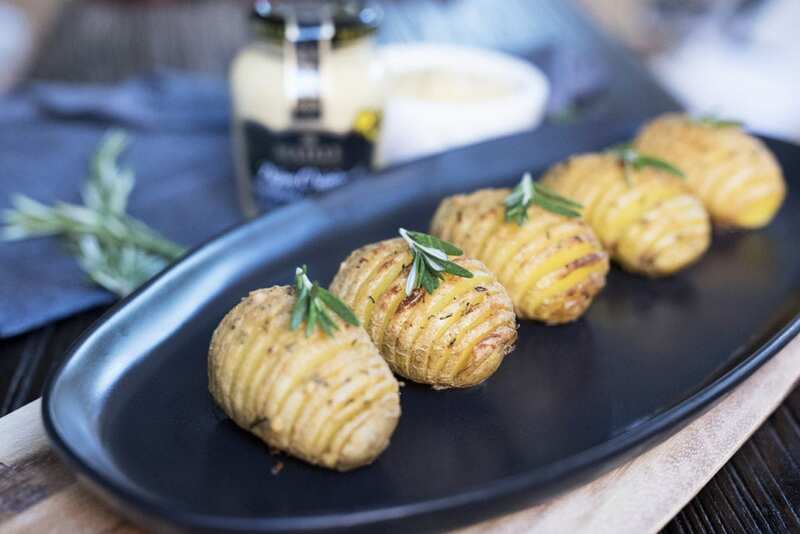 If you’ve never had hasselback potatoes before they’re sort of a cross between crispy, crunchy chips and a soft baked potato. 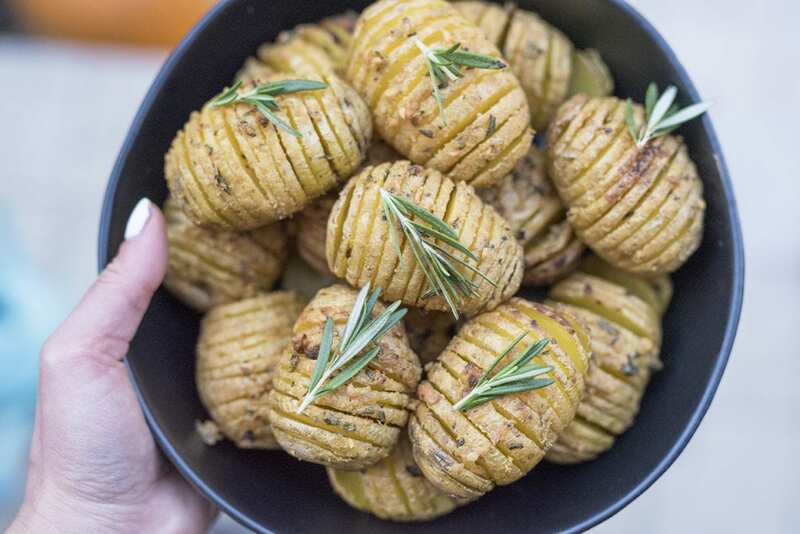 To make them, you take a regular potato and cut thin slices about halfway through. 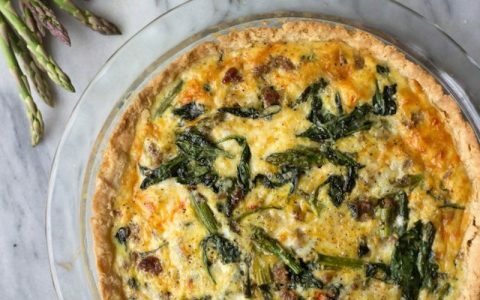 The thin slices allows your toppings to fall into the cracks and soften up the inside while the outside gets nice and crispy. There are tons of options to top the potatoes with but my favorite is putting together a rosemary and Dijon butter. 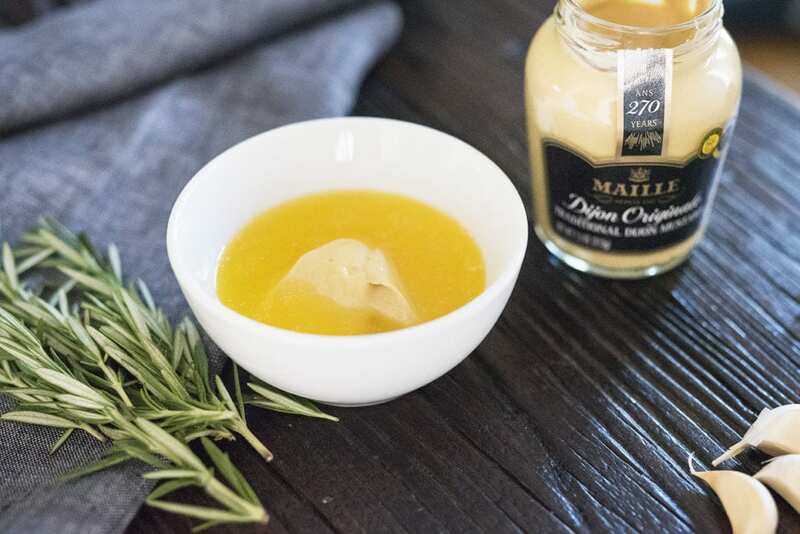 I use Maille Dijon Originale for its subtle yet complex flavor. 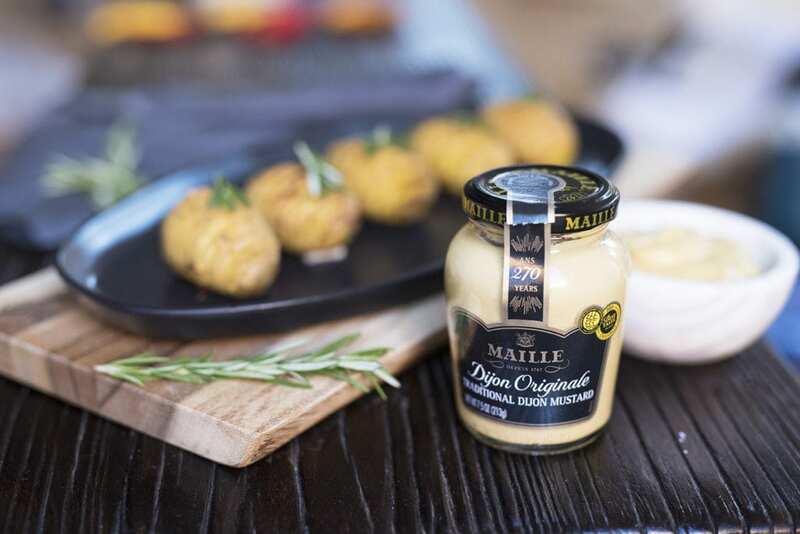 Adding a simple tablespoon of Maille Dijon really gives this dish its unique flavor. 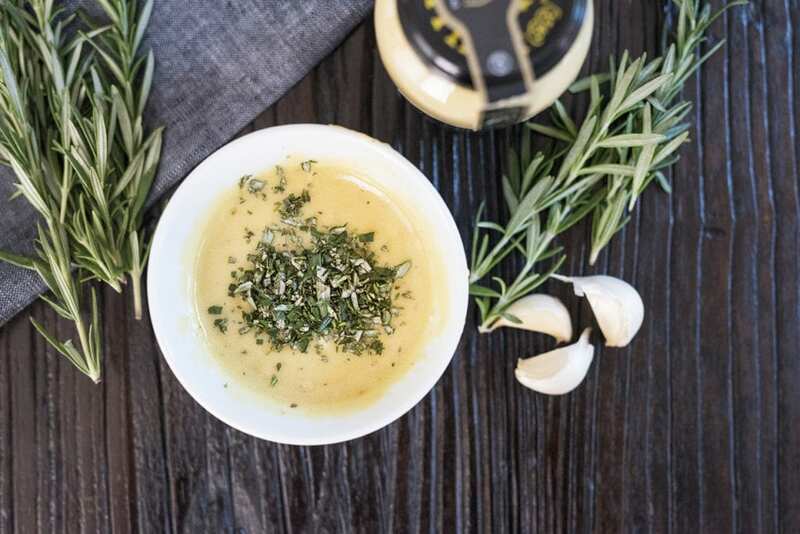 I’ll mix the Dijon with melted butter, a little bit of chopped rosemary from my garden, a few chopped garlic cloves, and salt & pepper to taste. 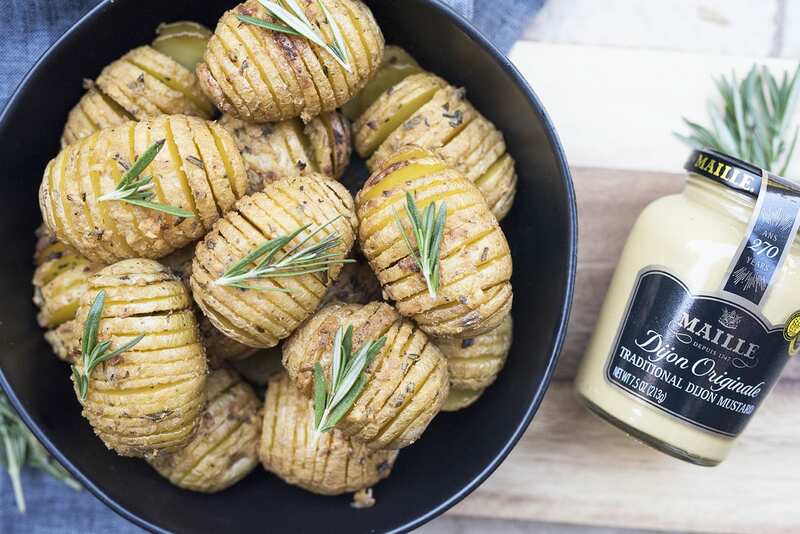 Once I’ve prepped all of the potatoes with their slices, I’ll spread about half the Dijon mixture on top of the potatoes and then bake them for around 20 minutes. After the 20 minutes, I’ll remove them, coat them once more in the Dijon mixture and pop them back into the oven for a final 20 minutes. 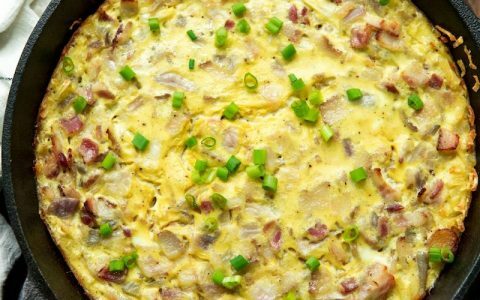 You’ll want to serve these immediately so that the potatoes still have a nice crisp to their skin. 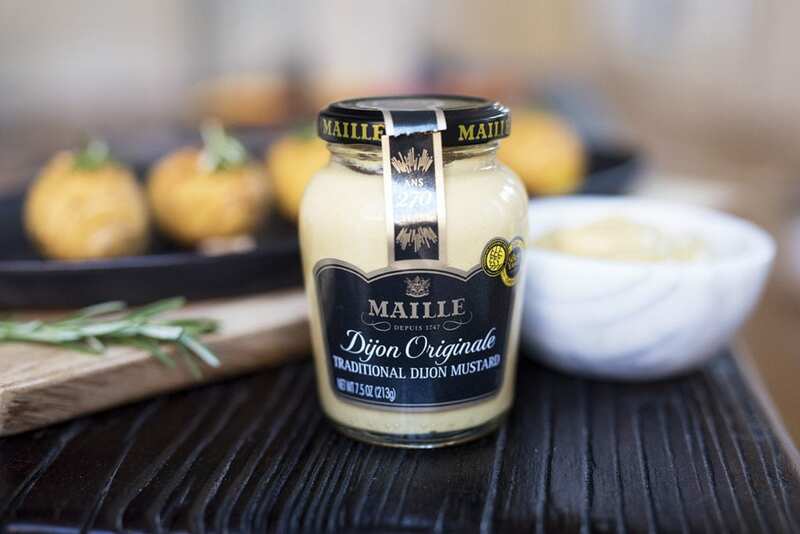 I also like to put out a side of Dijon for dipping. 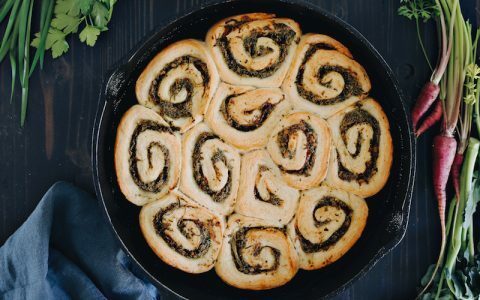 Their size makes them great for finger foods and they’re pretty easy to whip up since it only requires a few ingredients. They might be small but they’re surely packed with flavor! Wash and dry your potatoes. Use a sharp knife to create slits into the potato about half way down. Be careful not to go all the way through as you will want the potato slices to remain connected. A little tip – if you rest the potato in a curved wooden or plastic spoon, the edges of the spoon will act as a safeguard so you don’t cut too far down! Once the potatoes are all sliced, set them on a baking sheet and set them aside. 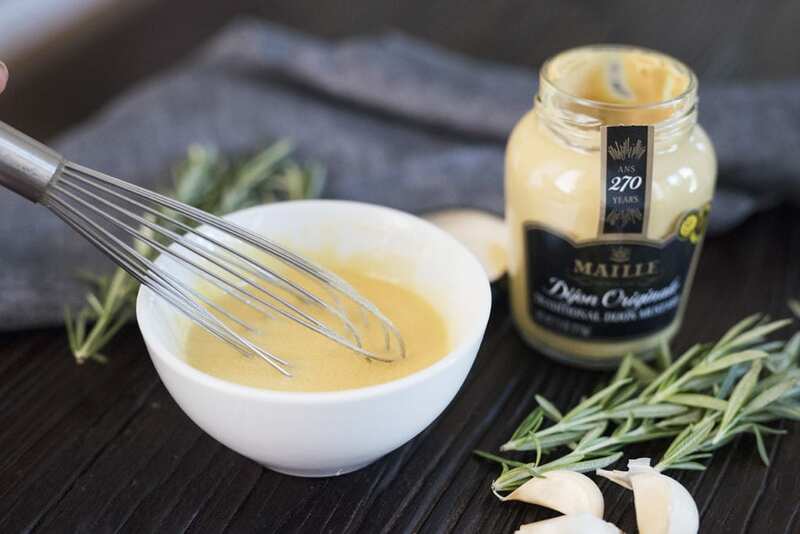 In a small bowl, whisk together the melted butter, Maille Dijon Originale, chopped rosemary, garlic, and salt & pepper. 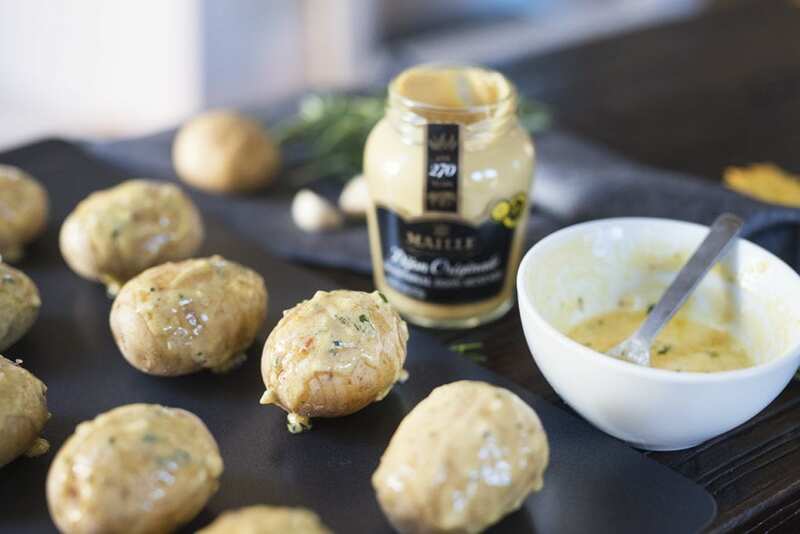 Using a small spoon or pastry brush, liberally brush each potato with the Dijon mixture. 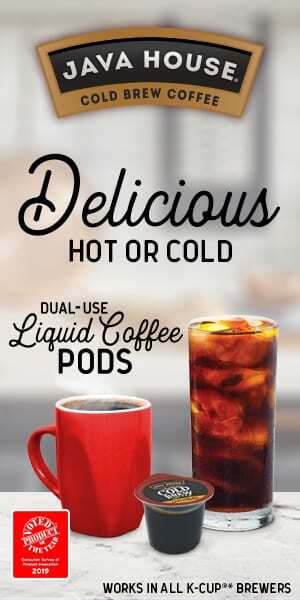 You’ll want to use up about half of the mixture. Place the potatoes in the oven and bake for 20 minutes. Remove after the 20 minutes and spoon or brush on the remainder of the Dijon mixture. Place back in the oven for a final 20 minutes. Once the potatoes are fully cooked through and soft in the center, remove them from the oven and let them cool slightly. 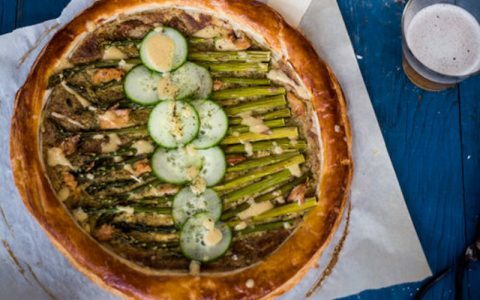 Place them in a serving bowl and enjoy! Justine is a lover of treats and all things creative. 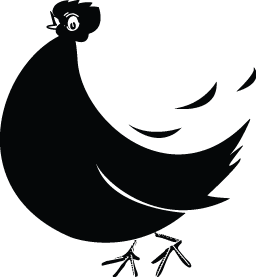 She is the blogger behind Pretty in Pistachio, a blog dedicated to cooking, crafting, and entertaining. Her inspiration comes from the styles and flavors of New York City, the city she calls home. 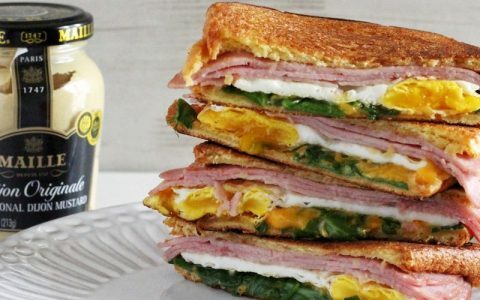 When not whipping up a sweet new recipe in her pint sized kitchen, she can be found roaming the cobblestone streets for quaint coffee shops and new brunch spots.